Securely backup your WordPress website easily and for free. To the leading cloud storage providers: Dropbox, Google Drive, Amazon S3, Microsoft OneDrive, DigitalOcean Spaces, FTP and SFTP. Migrate your WordPress site to a new domain with one click. 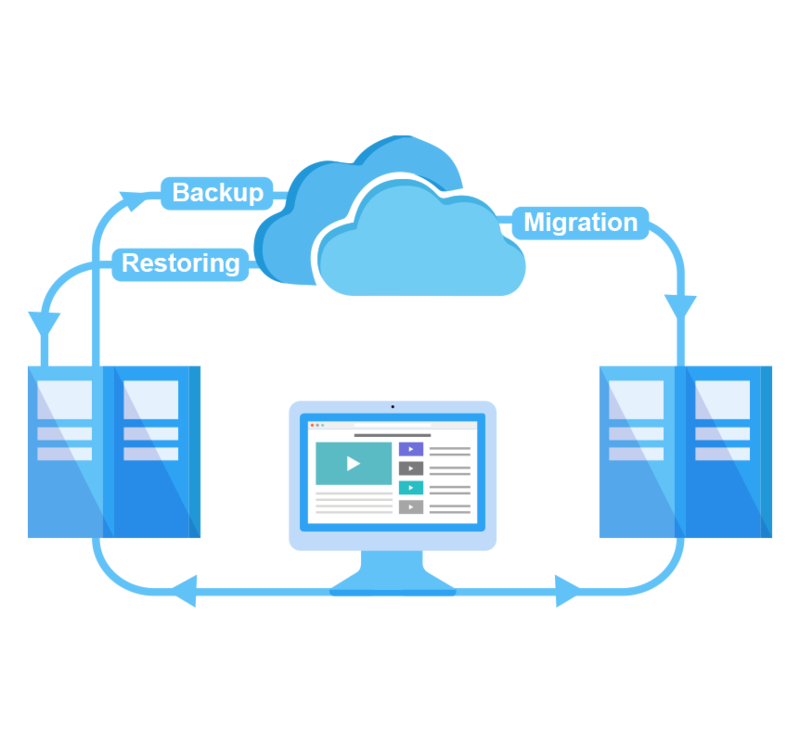 WPvivid Backup Plugin prepares you for the worst possible events that will require a quick restore of your files. Migrate your WordPress site to a new domain with a single click. We support the top rated cloud storage providers and are working hard to keep adding more. Create or restore a backup of your website with one click. One-click site migration. Set a size limit for each file. Files exceeding the size limit will not be backed up. Successfully tested on up to 2GB database size. Improve you backup success rate by creating backups based on your host limits. Freedom to set up to how many backup copies you want to keep on your servers. Ability to split your backups into as many parts as you need, comes in handy if you have size limits. The only limits are your cloud storage and hosting account sizes. We do not limit you. Ability to create local backups. Cleanup all the temporary and junk files created during the backup and restoration process. Multiple backup schedule frequencies: every 12 hours, daily, weekly, bi-weekly, monthly. You are free to choose what to backup; the entire site, files or just the database only. Want a local copy on your PC? Download your backups from your web server or cloud storage to your local devices. Get Notified by email on the status of your back up after completion. The plugin keeps a trail of activities during the backup and restorations so you can easily troubleshoot it. If you need our help we shall ask you to send us this file. It works on all devices, phones tablets, PCs. Here are answers to the typical questions we get. In case you still have any queries, then drop us an email or a tweet. Does the plugin also migrate my site? Is the migration free? Yes, it allows you to migrate wordpress website to a new domain with one click. Yes, it is free to use. I tested this plugin today, and I really like it. The plugin has a very simple and easy to use interface. This free plugin makes the backup and restore process simple and very easy for anyone, be it beginner WordPress user or an advanced developer.